The holidays are quickly sneaking up on us. Luckily, you still have time to crochet plenty of handmade gifts. When you work small projects with large hooks, it doesn’t take much time at all to get the job done. 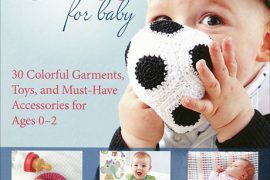 All of these fifteen free crochet patterns are for projects that use less than 150 yards of yarn and are worked with an M or N size crochet hook. 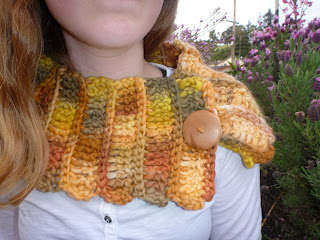 I think that this free Lion Brand crochet pattern for a scarflette would work as a gift for girls of many ages. 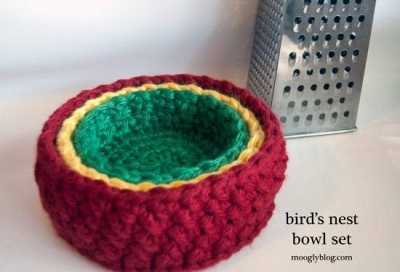 Moogly offers a free crochet pattern for these make-them-quickly crochet nesting bowls. Give a set as a gift on their own or fill one with candies or soaps. 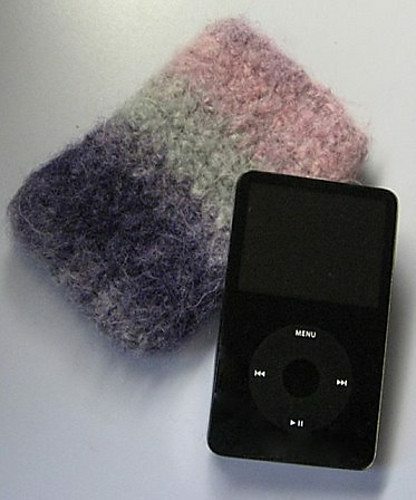 This free Ravelry download pattern from Noelle Williams could be used to personalize an iPod you’re giving as a gift or just given as a small gift of its own. CrochetKitten calls this the 3 hour baby sweater. Make one for every baby you know this Christmas! 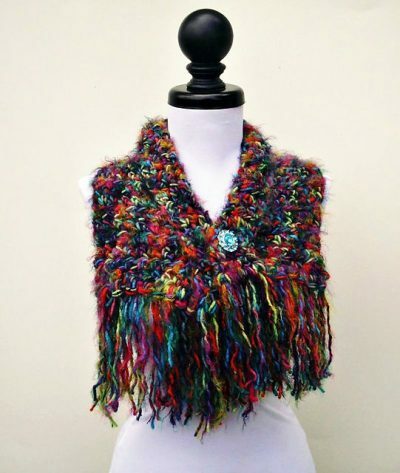 Designer Diane Serviss calls this the Angel Hair Scarflette, but I think it looks more like a shawletter. It uses novelty yarn and large hooks to make a pretty accessory in a short amount of time. 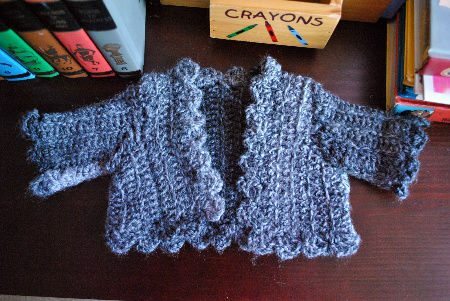 Free Ravelry pattern. 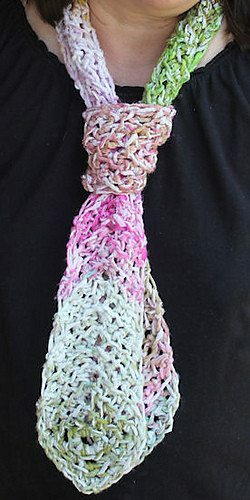 Crochet Colored Glasses shares the free pattern for this quick-to-make ribbed crochet necktie. 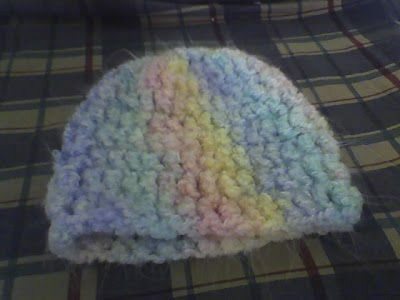 Crochet Today offers a free crochet cloche hat pattern that can be worked up fast since it uses an N hook. Make it solid like this one or alternate colors each row to make it striped. Many people enjoy donating items to charity during the holidays. Crochet chemo caps are a great item to donate. This free pattern from Deb’s Crafts is one option for a design for making a bunch of them. 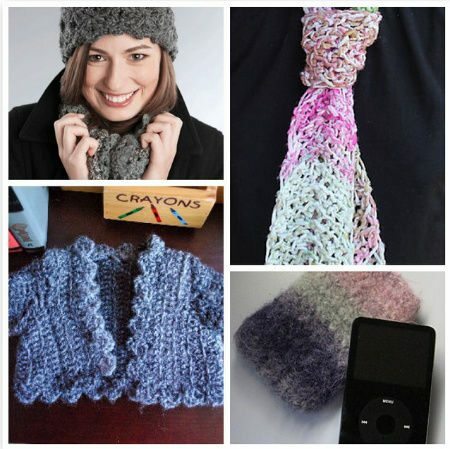 A crochet cowl is a great gift for almost anyone. This one was decorative buttons. Note that the free ravelry pattern is written using British crochet terms. 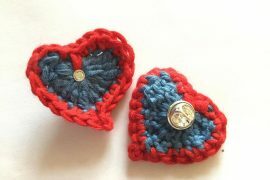 If you love buttons, check out this roundup of projects that combine buttons and crochet. 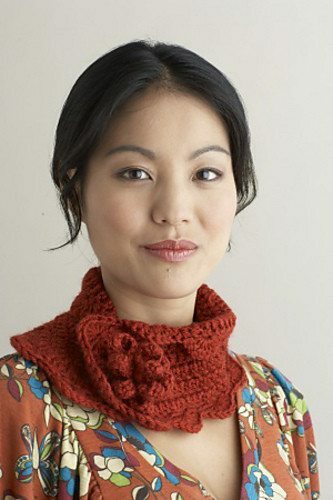 Another good free crochet pattern for a quick-to-make cowl is the Scallop Edged cowl from The Cozy Corner, which has a single decorative button. 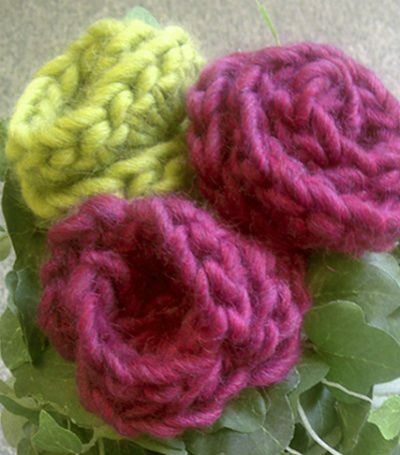 Make up a bunch of these crochet roses, which are worked up with an M hook, and then you’ll have them for all sorts of last minute gifts. You can add them to packaging instead of bows. Or you can put together a bouquet of them to give to people – a great gift for unexpected visitors who you don’t want to send away emptyhanded. Free pattern from DROPS design. Lion brand offers a free crochet socks pattern in kids’ sizes as well as adults. Socks are always a great Christmas gift. 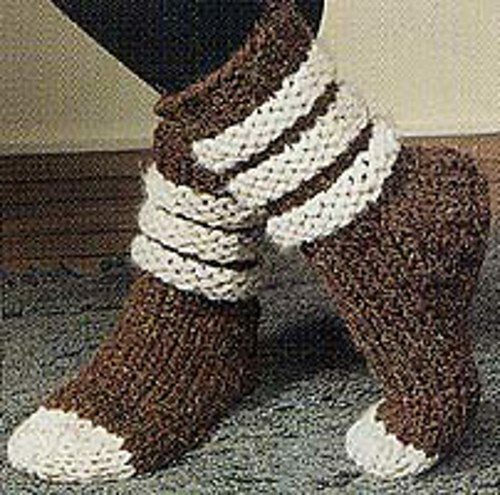 Plus many of us haven’t made crochet socks before so it offers a chance to work on a new type of project. 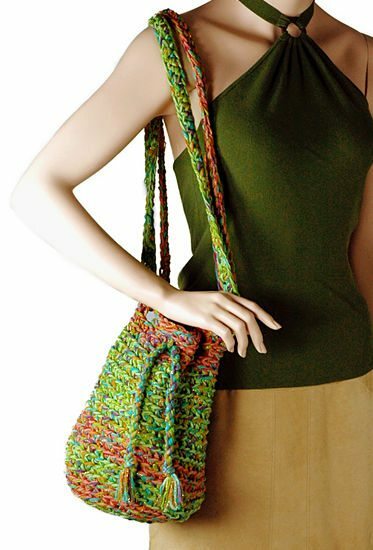 Berroco offers the free crochet pattern for this crochet drawstring shoulder bag. It can be the gift or can serve as the unique packaging for the gift. 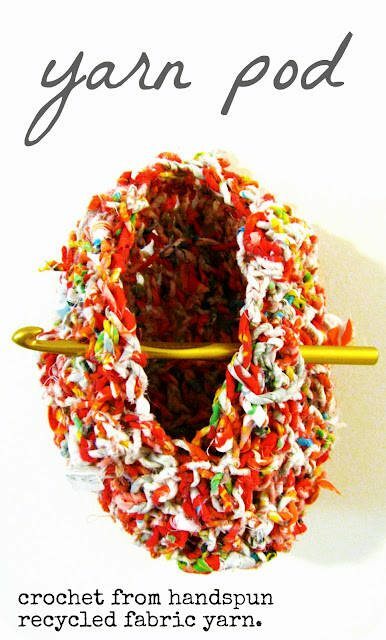 Neauveau Fiber Art shares the quick free crochet pattern for this yarn pod made from recycled fabric. What is a yarn pod, you ask? 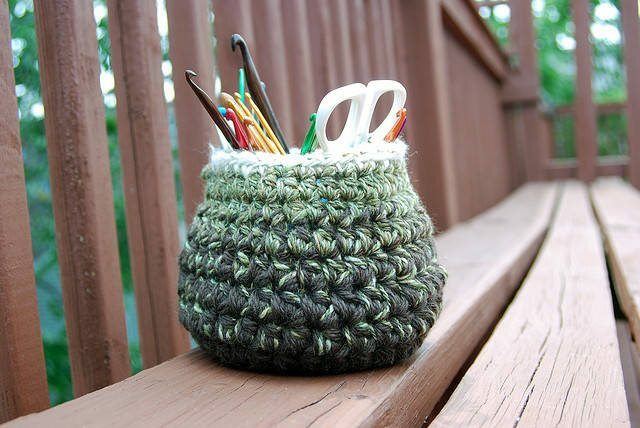 It’s a carrying case for your latest crochet or knitting project. Make one for yourself and for every crafter you know this Christmas! Make yourself a little crochet hook case to keep all of your supplies organized while you work on everyone’s gifts this year! Or check out these other ways to organize crochet hooks. Which types of projects are you likely to make for holiday gifts this year? These projects are beautiful.I will be making some esp. Chemo hats as I survived can.cer and I want to give back. Thank you Jesus.